Winx will have one more planned start in the Queen Elizabeth Stakes before she is retired. The Rosehill crowd has given Winx a reception like no other with the mare gracing the track for the final time. For the record, of which there are many when it comes to Winx, she won her fourth George Ryder Stakes on Saturday to take her Group One tally to 24 and her winning sequence to 32. She is the first horse to do many things including winning the same three Group One races four years in a row – the Cox Plate, Chipping Norton and George Ryder. As Hugh Bowman steered Winx wide before the home turn, the cheers started and from then on it was a celebration as she went to the line 3-1/2 lengths in front of Brutal. Race leader Dreamforce was another 2-3/4 lengths away for a creditable third. But it’s all about Winx, who will have one more planned start in the Queen Elizabeth Stakes in three weeks before she is retired. “Hughie popped out four-wide with a bit of arrogance as we’ve seen him do and as he’s entitled to do,” Waller said. “Every other jockey I’m telling not to be three-wide, but with her we have to be three-wide to stay out of trouble. 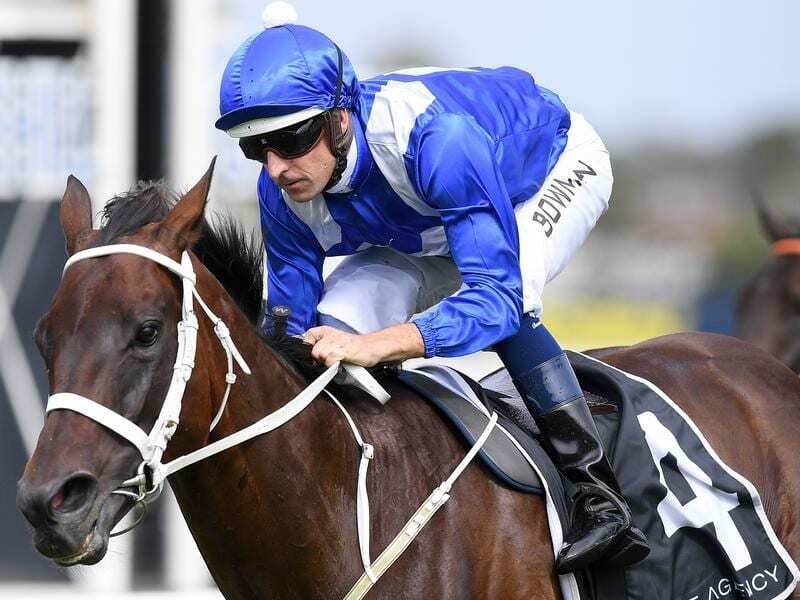 Bowman has ridden Winx to all her Group One wins and it’s now not so much a case of him having to use his tactical skills but just to keep Winx safe and let her do the rest, especially on Saturday’s testing heavy conditions. “The pace was pretty good in the early stages,” Bowman said. “I settled towards the rear of the field, as she often does, and when they slowed up the pace in the middle I was staying out wide on the better ground cause it’s quite chewed up on the inside with the conditions here this afternoon, so the pace steadied and I just crept a bit closer. Michael Hawkes, co-trainer of the runner-up Brutal, said the three-year-old was a future star. “He was outstanding,” Hawkes said. “We knew we were taking on the best in the world and everyone else does.